We are a group of people who believe that Jesus Christ must be the centre of our lives, and we are called to demonstrate that to the community. We meet and worship in the Cowbridge Hall in the centre of Hertford at 10.30am on most Sunday mornings. 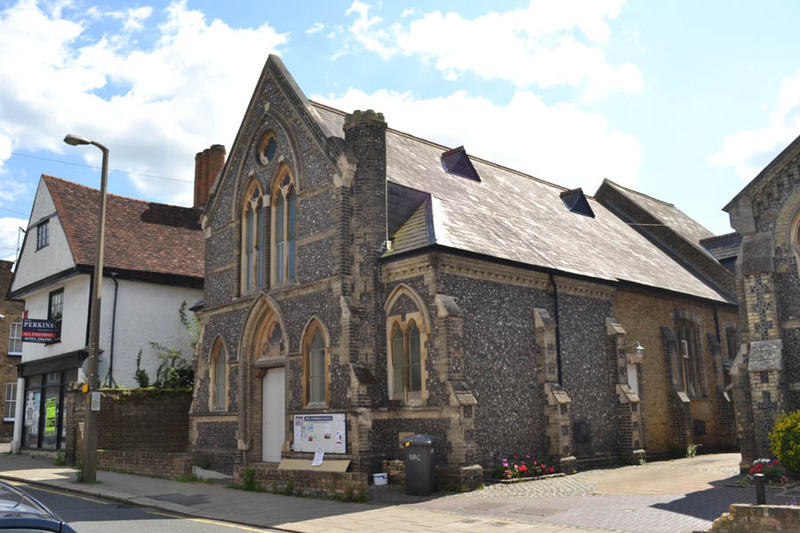 Every first Sunday of the month we will be meeting in the Pinehurst Community Centre at 10:30am. Everyone is welcome to join us! All children stay in for part of the service and then we have a Creche for our under 4's, Sunday School groups for those aged approximately 4 to 12 years. We also meet in Cell Groups at various locations in and around Hertford. There are currently three Cell groups meeting on weekday evenings and one Cell group meeting on a weekday morning. Every first Sunday of the month we will be meeting in the Pinehurst Community Centre (click for directions), beginning with sharing breakfast together and carrying a focus on prayer - all are welcome! Please check back here for the when and where of upcoming events and special Sundays. The venues for gatherings in homes will be confirmed nearer the time and announced via email and on the previous Sunday morning. Should you miss either of these communications and would like to join us at these gatherings, please contact Ross on 07986996470. Requires a secure (HTTPS) connection.